2017 has been a good year for new development in the Thumb. Many of these new developments continue to make our county an even better place to live, work, and play. From new parks and walking trails to new businesses and opportunities, Huron County is on the rise! There’s new things happening in Bad Axe, the Thumb’s commercial center and county seat. Recently, Bad Axe welcomed a few new businesses to it’s downtown; Community First Title Agency, Emma’s Coffee House, and In Better Hands Fair Trade Shop. Community First Title Agency opened a new office in downtown Bad Axe at 126 East Huron Avenue. For more information visit Community First Title Agency online or the Community First Title Agency, LLC - Bad Axe, Caro & Sandusky, MI Facebook page. Just north of the light in downtown Bad Axe, you will find Emma’s on the corner of North Port Crescent and West Woodward Street. Formerly a bank, the building was recently renovated to create a space for the coffee shop and fitness center, Bad Axe Club Fitness. 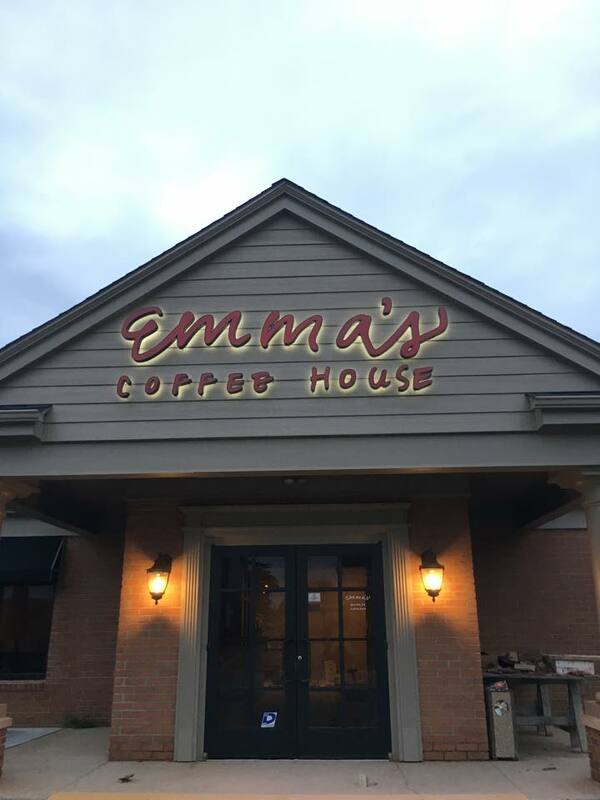 Emma’s Coffee House opened the final week of October and offers a great selection of specialty and regular coffee drinks, tea, real-fruit smoothies, in addition to fresh baked goods and handcrafted sandwiches. A drive-through is to be added in December. You can learn more by visiting Emma’s Coffee House on Facebook or in person at 123 N. Van Dyke Rd. In Better Hands Fair Trade Shop is a new business located at the light in downtown Bad Axe. The corner building was revamped from the inside out and officially opened August 1st of this year. The shop supports In Better Hands, a nonprofit that rescues children from southeast Asia from trafficking, exploitation, and abuse. Here you will find local and international slave free products that are sourced through fair trade. Learn more about In Better Hands Fair Trade Shop online or visit In Better Hands Fair Trade Shop, LLC on Facebook. Recently, the Grindstone City Marina was cleaned up, making the area an even better place to experience the beautiful Lake Huron Shoreline. The clean-up was made possible by a grant received from the Huron County Community Foundation. For more information about the Grindstone City Marina head on over to the Friends of Grindstone City DNR. There are many new and exciting developments happening in Harbor Beach. Here’s a quick list of some of the most recent happenings making Harbor Beach a better place to live, work, and play. The painting and remodel of the barn at Grice House Museum is almost complete. The space is to feature antique agricultural items as part of the museum tour. Set to open in January 2018, Harbor Beach Community Schools is adding a new preschool program. The preschool program is open to students 3 or 4 years old by December 1, 2017 and will run five days a week, Monday through Friday. For more information or to pre-register your child, call the K-8 Office at (989) 479-3261, ext. 53102. The Harbor Beach Lighthouse Preservation Society is to begin painting the outside of the lighthouse in 2018. Donations are being accepted to help cover the cost. A new pocket park is planned for the vacant lot on Huron Avenue, south of Harbor Drug. Kinde welcomed a new Polka Palace to its community this summer. The new Polka Palace provides a permanent place for friends and family to gather in the upper thumb. The new building was constructed to preserve the tradition of the “Biggest Polka Fest Ever in Huron County” and the Kinde Homecoming. The Kinde Polka Fest is an annual event that serves as a major fundraiser for the community, local organizations, and school programs including scholarships. The new Friends of Kinde Palace is located in the downtown commerce area of the Village of Kinde. Learn more about this incredible structure, and the people who make it possible on the Kinde Polka Fest Facebook Page. One recent development is the new “Scheurer Path to Fitness” walking path that officially opened in June of this year. The new walking path is located at Recreation Park off School Street. The walking path is to be fully lighted by the end of November with donated materials and labor by Sempra, Barton/Malow, and Motor City Electric. The initial walking path construction of $125,000 was fully funded by local Municipalities, Civic groups, and businesses. Building improvements are underway at the Pigeon VFW Hall. Improvements have already been made to the bar/meeting room and hall entry and work on the main hall and bathrooms are to begin in the near future. In March of this year the Village of Pigeon and Pigeon VFW agreed on a 2-year lease of the hall with ownership to the Village afterward. The hall is available for rental during the renovations, without any limitations. For more information about available rental dates and rates, call the Village of Pigeon Hall at (989) 453-2733. Additional development in Pigeon includes renovation to the front of businesses at the Pigeon Inn & Bailey Insurance Agency. Champagne Funeral Chapel also began construction on the former Dutch Kettle/Pigeon Lanes building that will merge the Champagne Funeral Chapels of Elkton and Caseville, and the former Meyersieck/Bussemal Funeral Home of Pigeon in the new location. Visit the Cottage Inn Pizza in Pigeon online or on the Cottage Inn Pizza - Pigeon Facebook page. For more information, visit TurnerArts Studio & Gallery online or follow along at TurnerArts Studio & Gallery on Facebook. Find more new businesses in Huron County in our recent Spotlight: New Businesses in Huron County article. Port Austin is constantly evolving, so we highly recommend visiting the Port Austin Area Chamber of Commerce website and Facebook page to learn more and follow along on future development. A new splash pad is to be constructed in honor of Shari Babcock Etzel, a beloved Port Austin native and speech therapist who worked tirelessly for the children she represented. The splash pad is made possible by the all the friends who contributed. The new splash pad will provide a safe and sustainable play environment for children and their families to gather and play. The new Community Butterfly Garden is located at the corner of Madison and Adams Street in Tower Park, immediately beside the Port Austin Water Tower. The Butterfly House offers an educational experience for kids and adults to learn about the lifecycle of several different species of Michigan butterflies and plants in a vibrant, tranquil atmosphere. The Butterfly Garden will reopen in early summer 2018. Learn more about the Butterfly Garden on the Port Austin Area Chamber of Commerce website. The Village of Port Austin gave permission for a new fit park to exist at Veteran’s Waterfront Park. The Port Austin Outdoor Fitness Park is being funded by donations from the Port Austin Downtown Development Authority and other local organizations. New fitness equipment and durable outdoor workout stations are to be added to the park in Spring/Summer 2018. Port Austin Township is in progress on a new township hall building that is located on the north side of the Port Austin Water & Sewer Plant on Hellems Road. Visit Port Austin Township online for more information. Port Hope is a quaint little village on the Thumb’s sunrise side between Harbor Beach and Port Port Austin. Recently the town has seen some new developments that make this little village an even better place to live and visit. Check it out! This summer the new marina in Port Hope opened full force. Last year, the marina added a brand new restroom and shed in addition to making repairs to and adding additional boat slips. The Port Hope Marina provides affordable and secure docking for boats up to 25 ft in length. For more information and rates visit the Village of Port Hope online. There’s a new ½ mile walking trail that connects the Port Hope Depot, a completely restored historic train depot, to Stafford County Park. The park provides beautiful lake views and a clean, safe place to play, picnic, or camp. The depot was fully restored to it’s former glory in 2016. The Port Hope Depot is open on the weekends and for special events from Memorial Day through Free Museum Weekend in late September. This past spring, the Port Hope Mercantile opened it’s doors to the public as a destination hardware and garden center. Recently restored, the building’s restorations honor its rich history, though it’s been fully modernized. The Port Hope Mercantile is a modern hardware in an old-fashioned general store setting. The store offers an exceptional array of essential and eclectic merchandise for your home, garden, and campsite. Visit the Port Hope Mercantile online to learn more, or visit them on Facebook for more information. The Chill Zone may not be considered a “new business”, but there’s something pretty cool that goes on here throughout the summer months you’re probably not aware of. Beyond the fun atmosphere and delicious ice cream treats, you can find the community and campers coming together for sing-alongs and open mics on Thursdays throughout the summer and into early fall. For more information or to stay connected visit and follow the Port Hope Chill Zone on Facebook. Another “hot spot” you can find in Port Hope is open year round. The Store is a must-stop shop for baked goods, sandwiches, and beverages. If you haven’t checked it out, we highly recommend it! In addition to these new developments and businesses, Rubicon Township Hall, formerly the Masonic Temple Hall and currently one of the oldest public buildings in Huron County that’s been under continuous use since the 1860’s, will undergo restoration. For more information about this building and other points of interest and historic places in Port Hope, click here. Harbor Beach is not the only school district to add a new preschool. NEMSCA has secured a 1 year lease with Ubly schools to open a preschool at the school. For more information you can read this article or call the school at (989) 658-8202.